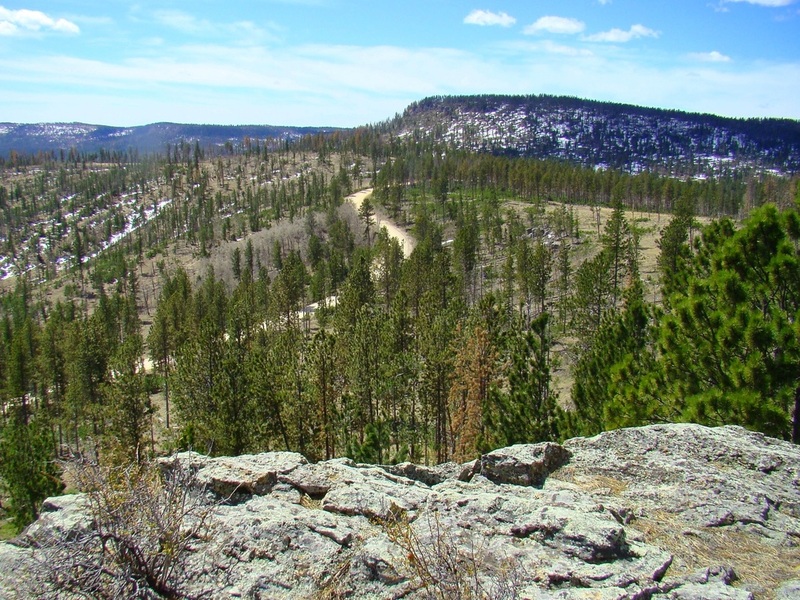 Odakota Mountain is the second-highest mountain in the Black Hills, but is nothing like the highest summit, Black Elk Peak. The mountain is rather gently sloped on almost all sides but the eastern side. 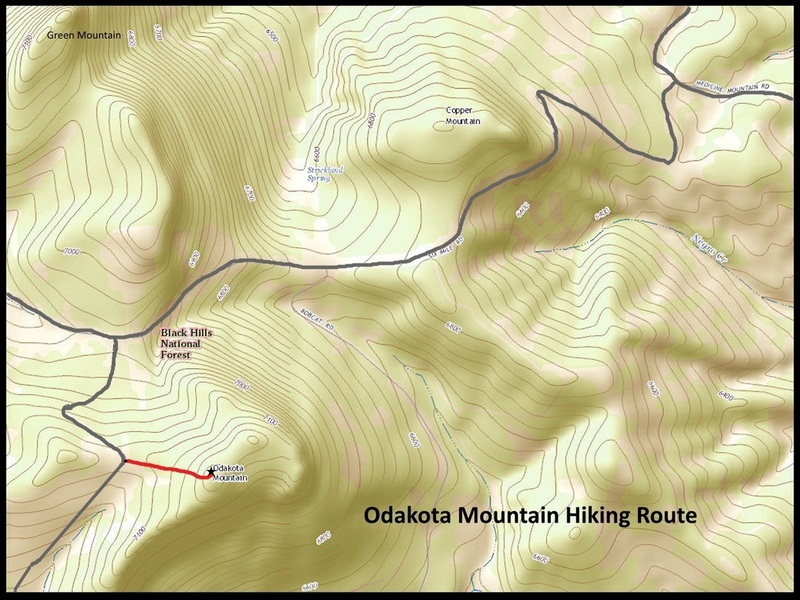 There is no trail, so hikers will have to do a .5-mile off-trail hike to reach the summit. Much of this is across open meadowland, so if you are new to off-trail hiking your challenge will be to keep a line-of-sight back to where you parked along Long Draw Road. 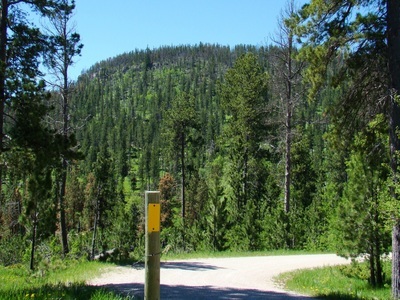 The actual summit is in a small forested area on the eastern rim. 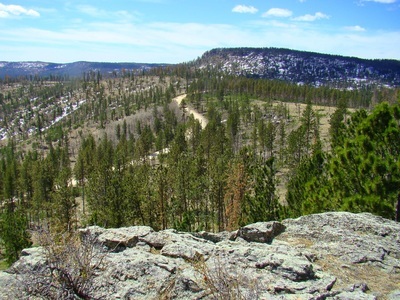 At the rim, you will have some good views of the Black Hills to the east. Watch out for barbed wire and fallen tree hazards. 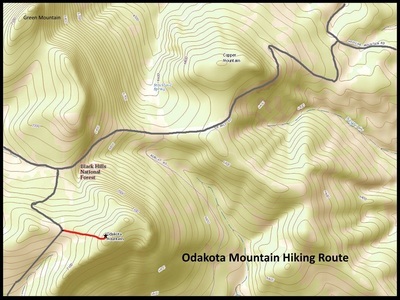 The best route to Odakota Mountain is by way of Hill City. Perhaps the quickest way that traverses the shortest distances on gravel roads, would be to travel 8.7 miles west from Highway 385 on the Deerfield Road (paved) to East Slate Creek Road (Road 300, and unpaved). 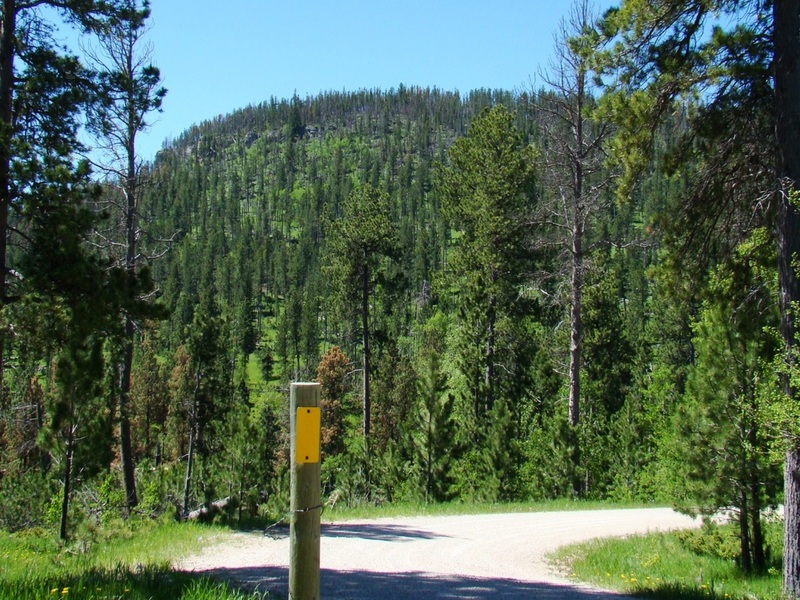 On Slate Creek Road, travel southwest 4.2 miles to the junction with Medicine Mountain Road. On Medicine Mountain Road, travel south and go 1.2 miles to Six Mile Road, then turn west and travel a little over 2 miles to Long Draw Road (Road 693). Turn south onto Long Draw Road and go about .4 mile. That should be at a sharp curve in the road. This will be the closest you can get to the summit by vehicle. Park wherever you will not obstruct traffic and proceed on foot straight east for about .5-mile. This will bring you to the summit area. If you have a GPS, it should show you where the exact highpoint is. Otherwise, look around for a white rock cairn. There used to be a summit register there, but I do not know if it is still there. When you go back to your vehicle, be sure to set your bearings straight west so that you come back close to where you parked. A route map is included with the photos below.